Exhaust systems often need to be removed for vehicle service. The components of the exhaust system may be few and simple, but installing and removing them can be frustrating. Use these tips gained from years of experience to make it easier for the technician and a better experience for the customers. 1. Be prepared for removing and installing the exhaust system. Allow the components plenty of time to cool before touching them. Make sure to have all the necessary replacement exhaust gaskets. 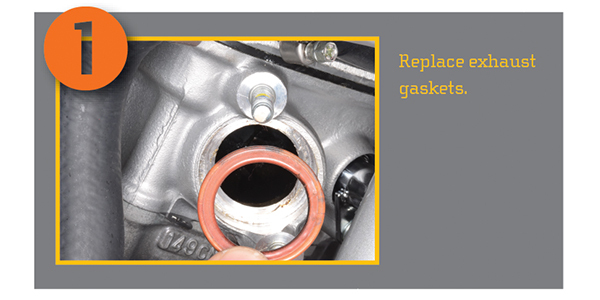 If a gasket fails it will be glaringly apparent to all when the engine is started. 2. Also, plan on running into a snag or two along the way. Exhaust clamps are often rusted and seized. Have a penetrating lube on hand to help deal with these. 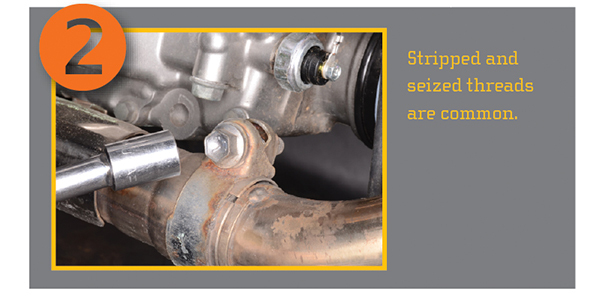 Stripped and seized threads are a common find on exhaust fasteners. Tools such as taps, dies, easy outs and drill bits are great to have in a pinch, but be sure to work carefully or you can make a small problem an expensive mistake. 3. If the exhaust system is for an off-road vehicle, check for a spark arrestor. 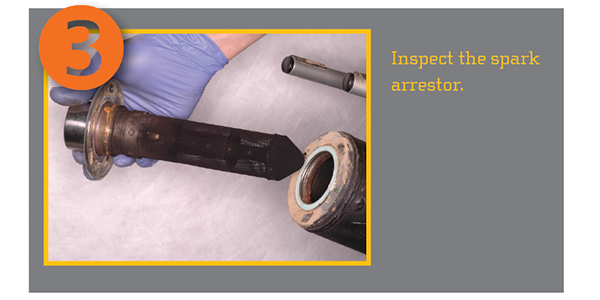 The spark arrestor should be removed, inspected and cleaned according to the service manual. Sometimes the spark arrestor also requires a gasket. 4. 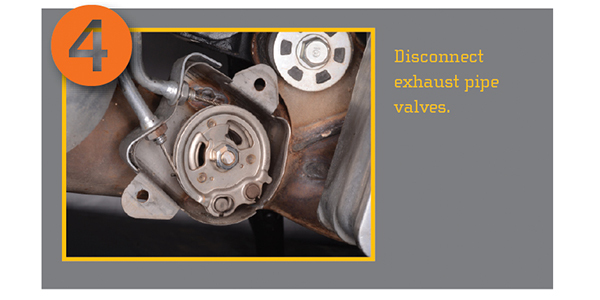 Some other items you may have to deal with are valves in the exhaust system and oxygen sensors. 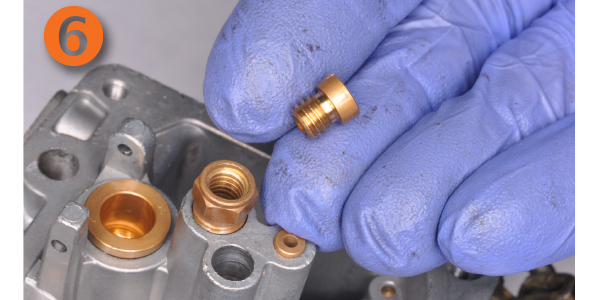 The valves may have cables or electrical connectors that need to be disconnected before the exhaust pipe can be removed. Oxygen sensors should be unplugged prior to exhaust system removal. Be sure to reconnect these components when the exhaust system is installed. 5. 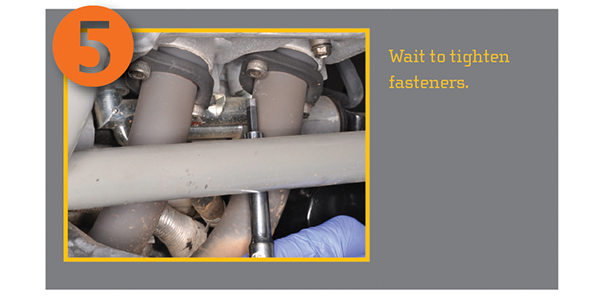 When installing the exhaust system, make sure to fit it all the way into place before tightening the fasteners. If you jump ahead and start tightening before the fit is established, you may end up with exhaust leaks or a system that just won’t fit together. Once the system is fitted correctly, tighten the fasteners in order as indicated by the service manual. 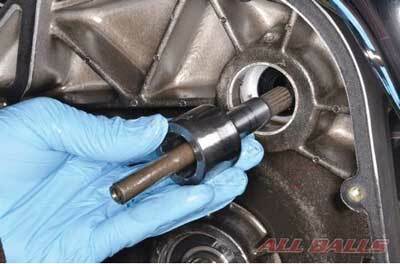 Often the tightening procedure is to start from the head and work back toward the muffler. Aftermarket exhaust systems are popular accessories for powersports vehicles. These systems can present their own set of problems. The first item to address is model fitment. You need to have the correct exhaust system and mounting hardware for the desired vehicle. When an aftermarket exhaust system is installed, it may change the running condition of the engine. An owner expecting a throaty roar and a bit more engine power may be greeted by a bike that doesn’t run very well and may even lose power.